It's done: Rules 2 is out! Finally, slightly more than two years after I started the initial development I'm happy to announce the release of Rules 2.0 for Drupal 7! So what's new compared to Rules 1.x? 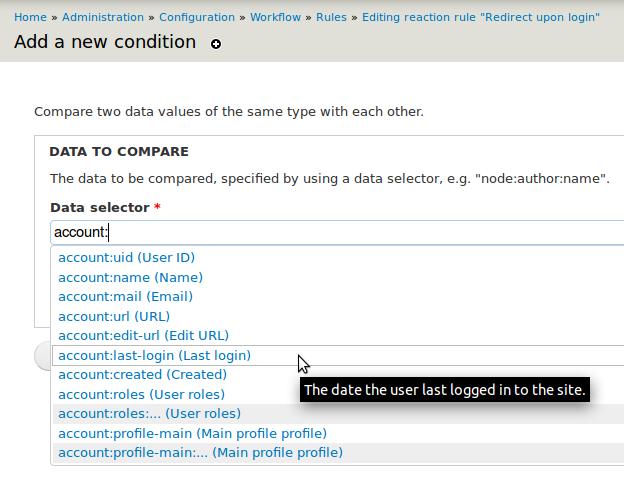 The Rules data selection widget shows all suiting data properties when configuring an action or condition argument. Let's consider, you configure an action to send a mail - by using the data selector comment:node:author:mail you can easily send mail to the comment's node's author. For that the data selection auto-complete helps you finding suiting data selector: You might note, that data selectors like node:title look like token replacements. 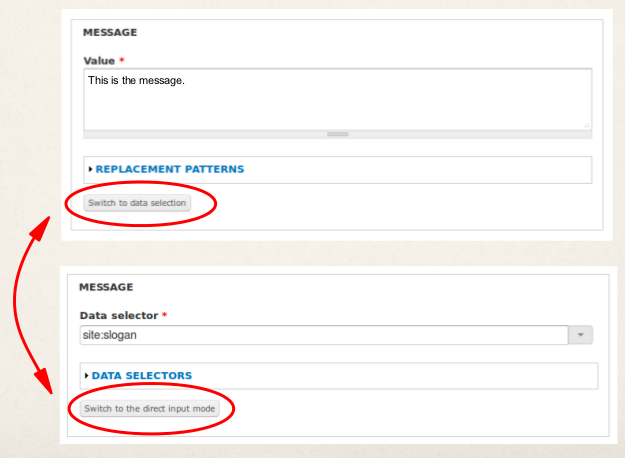 But as actions need more than just textual data, the data selector gives them back the raw data, e.g. full entity objects or whatever fits depending on the data type. Thus, data selectors are not implement via token replacements, but via the entity.module's Entity property info system. Still, the Entity Tokens module (comes with Entity API) makes sure there are token replacements available for all the data selectors too. The very same way one can naturally access fields too - e.g. node:field-tags gets you all the tags of your article node. However as only articles have tags, for that to work Rules needs to know that the variable node is an article first. Thus, make sure you've used the "Content is of type" or the "Data comparison" condition to check it's an article. Analogously, if you have an "entity" data item you can use the Entity is of type condition to make sure it's a node and access node-specific properties afterwards! Read more about data selection in the drupal.org handbooks. Components are standalone Rules configurations that can be re-used from your reaction rules or from code. In Rules 1.x there are already "rule sets" available as "components" - but with Rules 2.x there are multiple component types: Rule Sets, Actions Sets, Rules, "AND Conditions Sets" and "OR condition sets". Rule sets come with maximum flexibility, but if the extra layer of having multiple rules is unnecessary for your use case, you can go with the simpler action set or a single "rule" component now! Next, the conditions sets make it possible to define re-usable condition components. Components work upon a set of pre-defined variables (e.g. a node), just as for Rules 1.x. However with Rules 2.x it's now possible to provide new variables back to the caller, too. Read more about components in the drupal.org handbooks. Rules 2 is finally able to properly deal with loops and lists! That means you can now access all your fields with multiple items, e.g. the tags of an article node. So you can easily loop over the list of tags and apply an action to each tag. That's also very handy in combination with node-reference or user-reference fields. Send a notification mail to all the referenced users? No problem. Furthermore, one can access individual list items directly using the data selector - just use node:field-tags:0:name to access the first tag. If you do so, you might want to check whether a tag has been specified by using the "Data value is empty" condition though. Read more about loops in the drupal.org handbooks. Read more about It's done: Rules 2 is out! You can find the slides of our presentation of Rules attached to his post. The presentation has included a demonstration of a "Notifications" feature, what enables users to subscribe to changes of a node. There will be a rules session at the Drupalcon London! 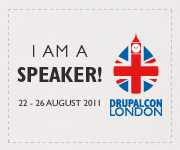 Read more about There will be a rules session at the Drupalcon London! Read more about Finally graduated, with .... Rules & Drupal! About the Rules Ecosystem @drupalcon Copenhagen! For anyone interested, here are the slides of the session. I'll also add the link to the video here, once it is available. Read more about About the Rules Ecosystem @drupalcon Copenhagen! Metadata, what for? - Introducing Entity Metadata! Update 10.01.2011: In the meantime the Entity metadata module got merged into the main "entity" API module. How to create/save/delete an entity? How to get referenced entities? Which properties are there and how can they be accessed or modified? This is, what Entity Metadata tries to solve for Drupal 7. It collects metadata from modules, such that it knows how this things can be done and provides API functions for that purpose. There are API functions for full entity CRUD, for determining access, as well as data wrappers that simplify dealing with entity properties. Metadata for data properties, why that? Read more about Metadata, what for? - Introducing Entity Metadata! Reactive rules for drupal have grown-up! Finally, after over 1 year of development the rules module has reached the 1.0 version! You can download it from the project page. Reactive rules? Reactive rules (or ECA-rules) are rules triggered upon a given event. This allows one to conditionally fire actions based on arbitrary events. As modules can provide further conditions, actions and events this enables site builders to automate a lot of things using reactive rules! As of now a lot of popular drupal modules provide already rules integration: CCK, Organic Groups, Token, Flag, Content Profile, Content Access, ViewsBulkOperations and many more. Features? The modules comes with a bunch of useful features, e.g. a flexible input evaluation system that allows to use token replacements or even PHP evaluation in your rules. To ease the management of rules the module supports tagging of rules as well as Import/Export. Often used behaviour can be put into Rule-Sets and is easily invoked by provided actions. Not enough, the execution of those Rule-Sets can be scheduled easily with help of the provided action, thus providing a powerful scheduling system, which allows you to schedule arbitrary tasks! It's finally grown-up? Rules is already stable for quite a time, however I didn't consider it to be complete. During the last months I added missing important features, fixed bugs and translation issues and completed the documentation! While there was quite a bunch of useful developer documentation for a while, now there is also a complete hook reference in the doxygen format. So it's grown up, but it's not (yet) perfect. So what comes next? 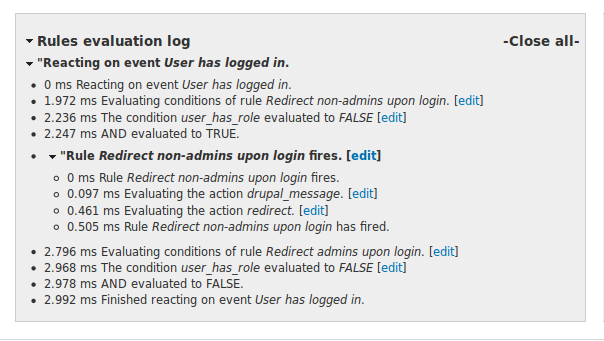 Read more about Reactive rules for drupal have grown-up!